Former Eagles linebacker Connor Barwin, who played for the Rams last season, watched Philadelphia’s Super Bowl win while on vacation in New Zealand. Connor Barwin embraced Philadelphia during the four seasons he played with the Eagles, commuting to the stadium on SEPTA and building playgrounds. 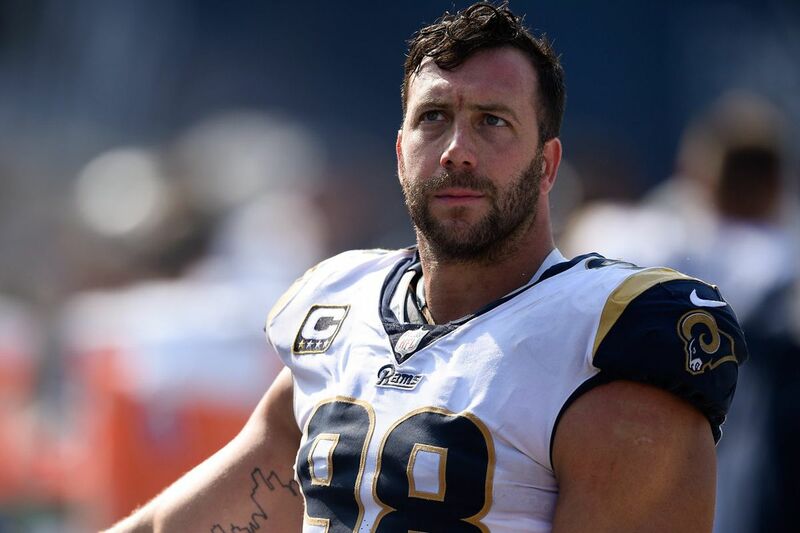 But after the team released him following the 2016 season, Barwin, 31, ended up in Los Angeles, where he started 13 games last season for the NFC West champion Rams. Unfortunately, Barwin's season didn't make it past wild card weekend, where the Rams lost at home to the Atlanta Falcons. So Barwin watched the Eagles' eventual Super Bowl win in Queenstown, New Zealand, where he was on vacation (the Saturday before the game, he posted a photo of himself tackling Tom Brady on Instagram). Wishing all my boys the best game of their lives on Sunday and rooting for everyone back in Philly. GO BIRDS this Sunday!!! So what did Barwin think as he saw his former teammates hold up the Lombardi Trophy? "I was in a weird state for a couple of days," Barwin said in a new GQ interview, revealing he was of mixed minds about the Eagles' Super Bowl victory. "I was kind of bummed out that I wasn't part of it… I was like, man, I'm over any personal weird feelings I'm having. I'm just happy for everybody involved." Barwin, who still lives in Philadelphia during the offseason and recently joined Eagles defensive lineman Chris Long climbing Mount Kilimanjaro, said he spoke with two of his former teammates, tight end Brent Celek and center Jason Kelce, after the Super Bowl. "What was most interesting to me about what they said was, there was nothing that happened this year that made them such a better team. There wasn't this special motivator or something," Barwin said. "But Celek said it was so weird this year because all season, any time they needed to make a play or they needed the ball to bounce their way, it just did." Connor Barwin admits that he has taken a liking to life in California. During the season, my colleague Jeff McLane spoke to Barwin about his new life on the West Coast. It turns out the lifestyle of an NFL player living in Malibu is a lot different than one living in Philadelphia. "I don't even know what the sports radio station is here," Barwin said in December. "Compared to Philly, where I lived in the city, you just always feel the Eagles. It's a great part of living in Philly. You know when it's football season. Win or lose people are going to tell you how they feel every single week." He added: "I'm a married guy now with a baby on the way. I'm happy that nobody knows who I am out here in Malibu." Barwin signed a one-year, $3.5 million deal with the Rams last March. He's slated to become a free agent, but said last month that he'd like to return to the Rams next season. "I'd love to be back," Barwin said, according to the Rams' official site. "This is my third time [that] I'll be a free agent. I've been down this road before. I'll just let it take care of itself, enjoy these next couple of months, and then hope to be back and get to work."